Filipinos are born to love music. Local artists have been acknowledge by foreign countries when it comes to the art of music. Dancing, playing an instrument, singing or anything that we can associate to music, for sure, Filipinos will always be on the lime light. Music is an essential part of everything that we do. We sing and dance during celebrations and small gatherings. That is why karaoke is always present on Filipino events. In times when we sing our hearts out, we look for a karaoke that would take our karaoke experience to the next level. Good thing we have Platinum Karaoke, makers of high quality and high definition karaoke machines and accessories, to provide us with a karaoke set that would give you a better karaoke experience. 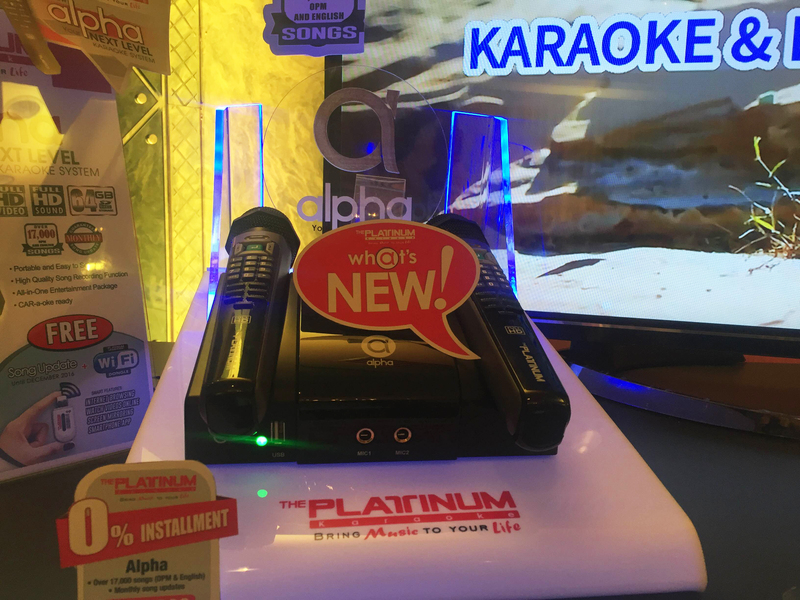 Introducing a major game changer in the karaoke industry, the Platinum Alpha Mic Karaoke, is a portable karaoke that has incredibly cool new features. Sing your favorite song while enjoying superb video and best sound output quality because it is equip with full HD capabilities. Have fun with over 17,000 collection of OPM and English songs, and 100 new song updates every month. The new Platinum Alpha does not only promise the best sing-along experience but also a great movie experience. Being equip with a 24GB multimedia console, download your favorite movies and songs which you can enjoy later. Yes, you read it right. You can download movies and music from the internet because it is developed as a Smart Karaoke that you can use for browsing the net and sharing your phone’s display on the big screen making this newest innovation an all-in-one entertainment package. It is made so conveniently that you can set it up on outdoor activities, picnics, and even road trips. But do you know what is more exciting about this, is that the Platinum family has welcomed two new faces as brand ambassadors of the wonder mic. These two have plenty of endorsement lined-up and have topped charts and hit ratings with different shows including their Kalyeserye. One of the hottest love teams in the Philippines is now part of the growing family of Platinum Karaoke – Alden Richards and Maine Mendoza, known as AlDub. Truly, we believe that the love team is a real epitome of the newest Platinum Alpha – fresh and hip – while embodying the love of Platinum for music. Surely, Platinum Karaoke and the sensational AlDub love team will definitely bring every Filipino occasion an ultimate karaoke experience. What are you waiting for? 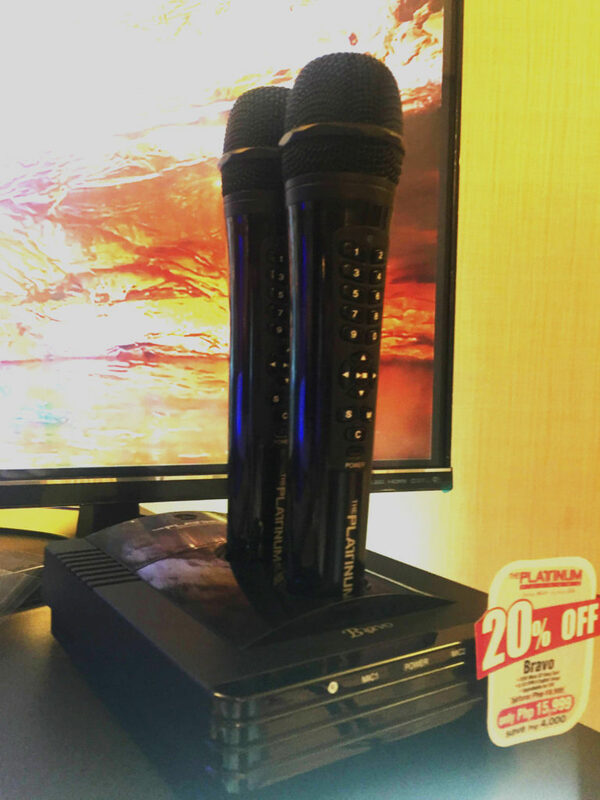 Take your music to the next level with Platinum Alpha Mic Karaoke! Platinum Karaoke is available in all leading music stores nationwide. For more information or online orders, please visit www.platinumkaraoke.ph, or like The Platinum Karaoke in Facebook, follow Twitter and Instagram accounts.